In 1965 a group of musicians, led by Florida Southern College professor Dr. Ken Anderson and Lakeland businessman Jay Erwin, decided they would organize an orchestra to provide classical music for their community. The group, with Erwin as conductor, called itself the Lakeland Civic Symphony and began with 30 musicians and an audience consisting of family members and a few friends. Their financial base consisted of a large glass jar, marked “donations,” which stood at the concert hall door. Today, more than 50 years later, that small effort has grown into a highly polished, regional orchestra.  In 1987, the organization changed its name to the Imperial Symphony Orchestra to better reflect its service to Polk County. In addition to the ISO’s Masterworks subscription series in Youkey Theatre at the Lakeland Center, the ISO performs four free School Day Concerts, two free family concerts, a free Pops Concert in the Lake Mirror Amphitheater in Lakeland, a fully staged opera at Branscomb Auditorium in partnership with Florida Southern College, and regularly places ISO musicians in a variety of private functions. Throughout its history, the ISO has been blessed with enthusiastic and forward-looking volunteer leaders, hard-working staff, and devoted musicians. In 1994, Governor Lawton Chiles publicly saluted this commitment when he presented the ISO with the prestigious Governor’s Award for Voluntarism in the Arts, recognizing its contribution of more than 22,500 volunteer hours in one year alone. 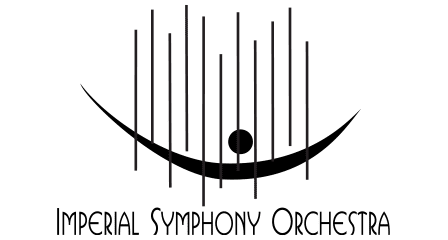 Truly, the Imperial Symphony Orchestra holds a unique place in the cultural life of Polk County by making high quality, live classical music performances available and accessible for all residents. A professional conductor who inspires and motivates the orchestra and audience. Opportunities for orchestra members to perform in an orchestra setting with a peer group who share similar interests, commitment and love for music. Opportunities for orchestra members to perform a variety of orchestral literature, to perform with guest and local artists, including traditional orchestral, pops and chamber repertoire. Opportunities for musicians to give back to their community through their passion for music. Live orchestra performances for the citizens of Polk County. School Days Concerts for fourth and fifth grade students from Polk County public and private schools. Free family concerts like FOSSILS! and Cookie Concert geared especially for children and their families. Free student admission to all ISO performances in Youkey Theatre. Development of audiences and arts patrons of all ages and backgrounds. A cultural resource for families of potential employees considering a move to Central Florida. Enrichment, educational and cultural experiences that directly impact the quality of life in our community. Direct, indirect and ancillary spending that positively impacts the local economy. Vitalization of downtown and business areas through music events and performances.